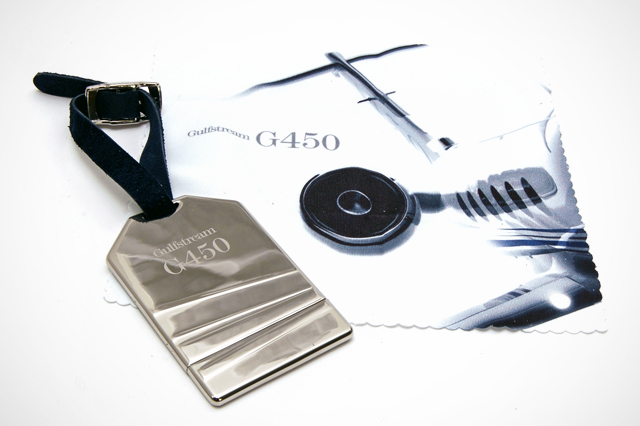 If you happen to be fortunate enough to be in the market for a new Gulfstream aircraft, not only will you be receiving one of the world’s most advanced business jets, but also a top-quality bespoke luggage tag USB drive. 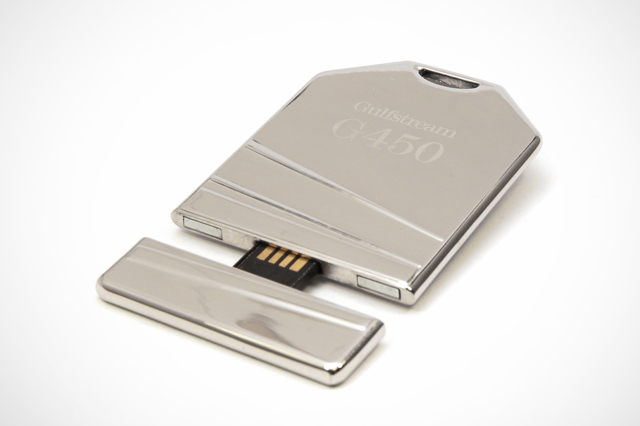 The first time you hold this drive in your hand you instantly know it was designed for something special. 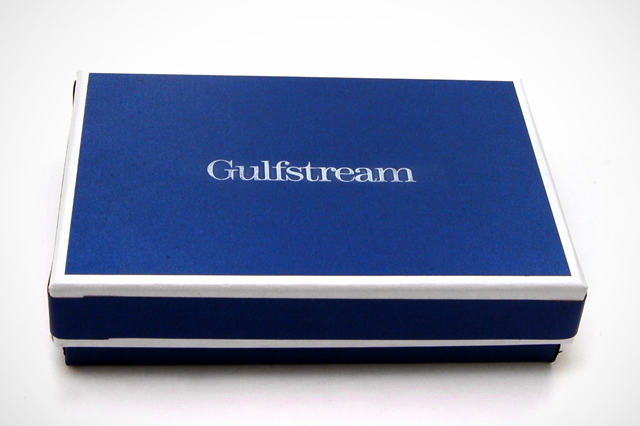 Each of these beautifully crafted metal drives comes in a custom designed cardboard box sporting the Gulfstream logo. Inside you will find a genuine leather keychain strap dyed in Gulfstream blue and a custom printed microfiber cleaning cloth so you can keep your drives fingerprint free. 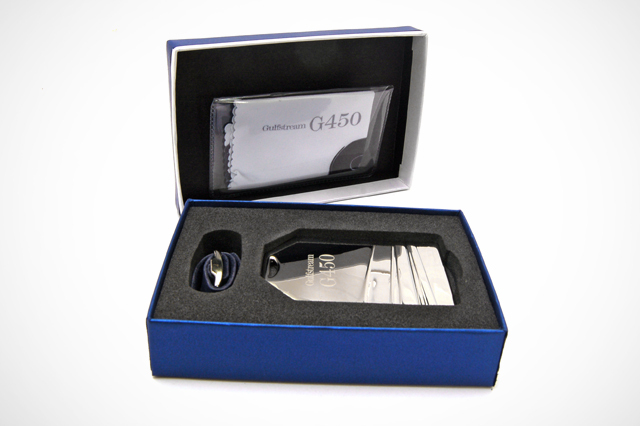 The drives are also laser engraved with the matching model number of the aircraft they come with. 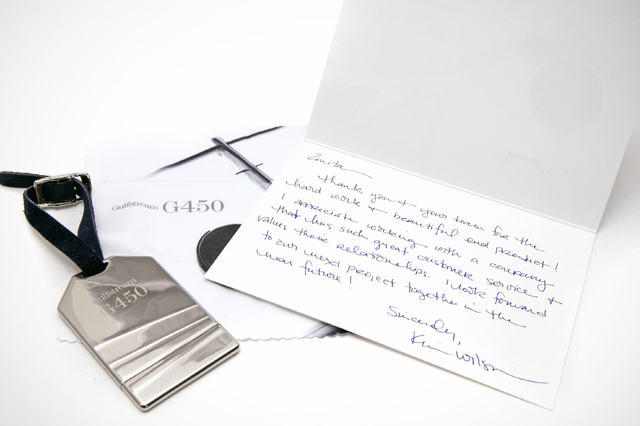 So if you are looking for one more reason to purchase that shiny new G650, take a look at the pictures below. 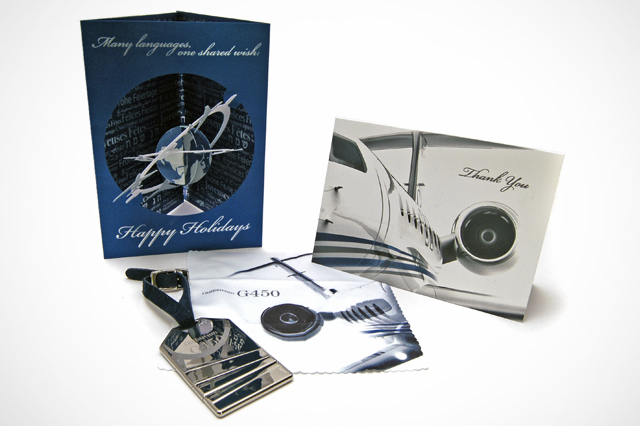 Here is the drive with a couple handwritten thank you cards we received from Gulfstream.